The great thing about Ceredigion is that so many of the attractions are free, with only the occasional parking fee to contend with. There are some great beaches within easy reach. As well as those right on our doorstep, there is Cwmtydu, Mwnt and Penbryn (a National Trust beach, as featured in the James Bond film - 'Die Another Day') - all three unspoilt yet each has access to their own small outlet for that essential cup of coffee. Should you want your beach with a picturesque village attached and a few more facilities, we have New Quay (obviously), Aberporth, Tresaith and Llangrannog. As well as the Welsh Coastal Path there are innumerable footpaths and areas of natural beauty to explore, including the Cambrian Mountains, for some breathtaking views. Travelling just a little further afield great walks can be found on the Hafod estate and at Bwlch nant yr Arian, which along with its breathtaking views includes a great Cafe & shop, a children's play area, picnic sites and regular feeding sessions for the majestic Kites, when dozens of birds decend at the appointed time. It is a sight to behold. Another favourite destination is Sculpture Heaven. Again entry is free to the exquisite gardens, the owner, Terry Barter, secure in the knowledge that you will want to buy something from his shop at the end of the tour. However many times you visit, this will always happen! For those with a thirst for adventure then there is the Cardigan Bay Water Sports Centre, based in New Quay, who will cater for every water borne activity you could possible crave, from sailing to kayaking to everything inbetween. 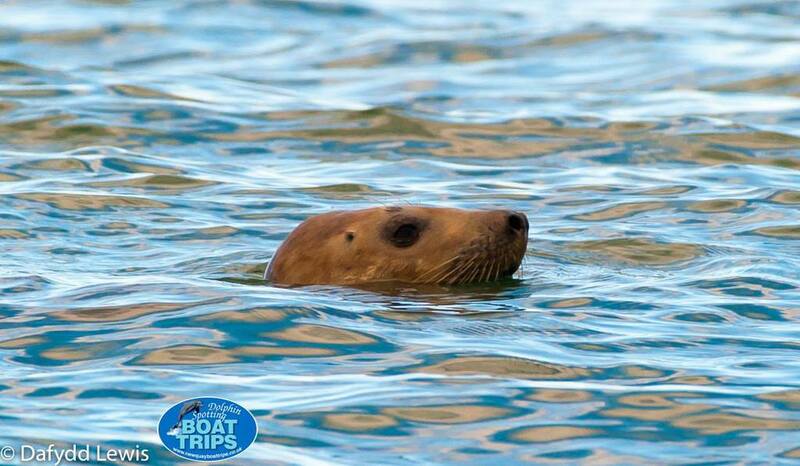 For those who still want to explore the sea, without expelling quite so much energy, then there are numerous boat-trips available, to catch sight of our resident population of bottlenose dolphins, atlantic grey seals, harbour porpoises and our other wildlife or perhaps just to fish - it can all be found in New Quay. For those that are interested you can fish, dependant on availability & time of year, for bass, mackerel, crabs & lobsters, even shark! Take a wander around New Quay itself, have an ice cream from 'Creme Pen Cae', all made on the premises and more flavours than you can shake a stick at, have a drink at The Black Lion, take a wander along the 'Dylan Thomas Trail' (He lived here for a short period during the tail end of the Second World War), take a look in the 'Box of Delights', visit the Heritage Museum or the Cardigan Bay Marine Wildlife Centre, there is just so much to do and see. Just outside New Quay is the Honey Farm, whilst over towards Aberaeron there is the National Trust property, Llanerchaeron. For a more complete picture of everything that there is to do or see visit the Tourist Information Centers in New Quay and Aberearon or click here. 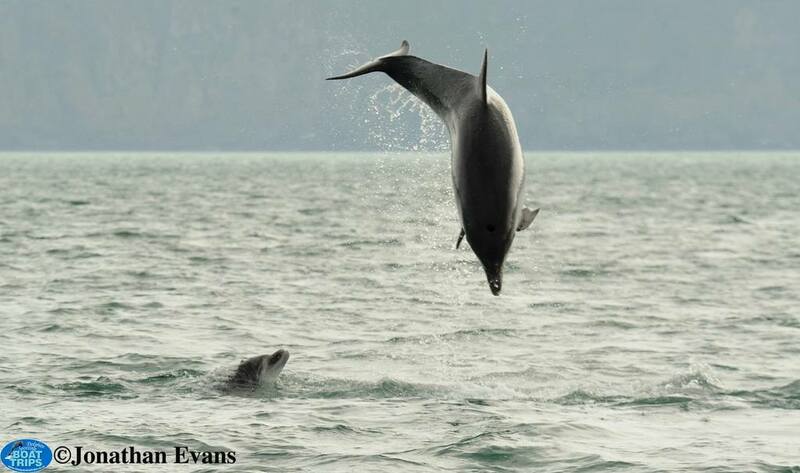 We are lucky in that the waters around New Quay have one of only two resident populations of Bottlenose Dolphins in the United Kingdom, meaning that they can be seen off our coast virtually throughout the year. 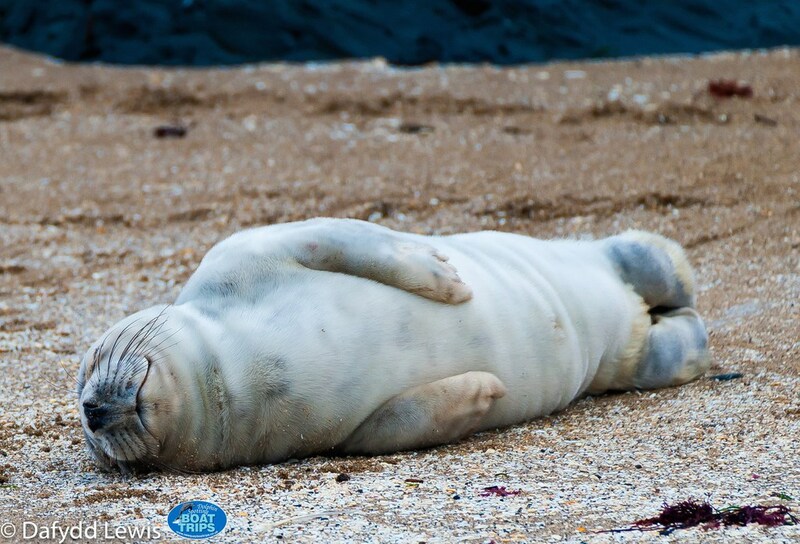 Atlantic Grey Seals are also common. 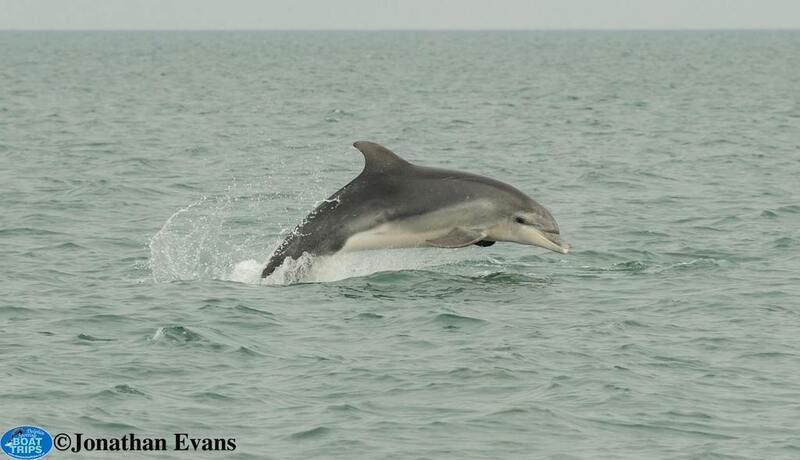 The pictures of the dolphins and seals featured on this website are used with the kind permission of New Quay Boat Trips. Should you wish to take one of these boat trips, booking before hand is advisable, especially at peak times during the summer months.